The champagne is chilling and I am curled up with a good book (A Clash of Kings) waiting for the ball to drop in Times Square. 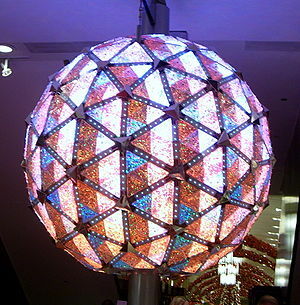 Wishing all a prosperous, healthy, and joyous 2012!! HELP! Should I read or watch, first, Tinker, Tailor, Soldier, Spy? 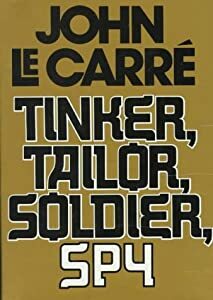 I have just watched an HBO First Look about the film Tinker, Tailor, Soldier, Spy by John Le Carre and am immensely intrigued. The story seems so fascinating and the acting so superb that not only do I want to see the film but I also want to read the book. I vaguely remember the television mini-series in 1979 that starred Alec Guinness and an even vaguer memory that perhaps one or both of my parents read the book. I do remember that at the time I had absolutely no interest in the mini-series or the book. Spy thrillers are not my favorite genre; they are too modern, too slick for my “stuck in the 19th century” sensibility and besides, Alec Guinness was Obi-Wan Kenobi and my child’s mind despaired of seeing him portray anyone else. So here’s my dilemma, do I read the book first or see the film while it’s still in theaters? Normally, I am a stickler for reading the book. Mostly because the book is always better but also because I do not want to be influenced by another’s vision of the story. This was not always the case. 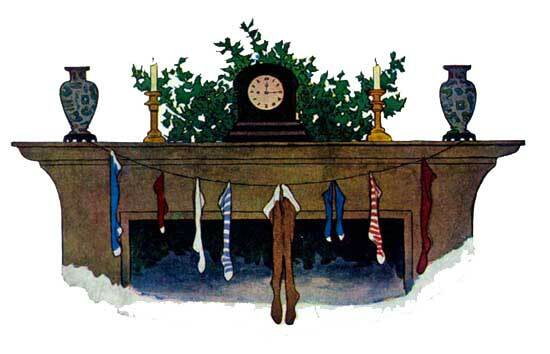 As a child, I was mostly introduced to books after watching the film or Masterpiece Theater adaptation. Films such as The Lord of the Rings (1978), Brideshead Revisited (1981), A Room With a View (1985), The Razor’s Edge (1984), Lady Chatterley’s Lover (1981), and Out of Africa (1985) were all seen before I read the book and were my introduction to authors I had never heard of. Looking back,it is apparent that the film adaptations of the late 70s and early 80s shaped my literary interests. I devoured the books that had been adapted and influenced my interest in other books by the same authors (Maugham, Tolkien, Forster, Dinesen, Lawrence) which further led me to other writers, mostly English. Masterpiece Theater was literally very English-oriented and my Anglophilia may have developed at this time or been enhanced by it. 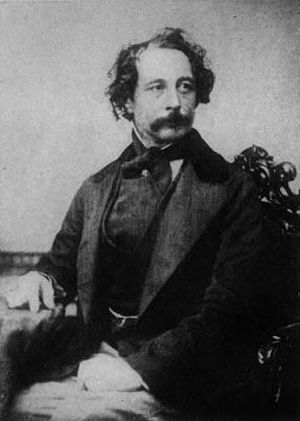 I rarely deigned to read American books or contemporary literature and instead dived into the worlds of Dickens, the Brontes, Greene, and Doyle. 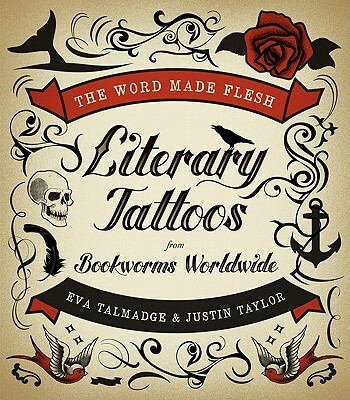 As I developed my literary interests I became fastidious about reading the book first. If I knew a film based on a book (I was interested in) was to be released I would rush to the library to check out the book and race to finish it. I was always very disappointed in the films. No screen re-working of a novel can perceive the nuances of the written work. Although as I have matured I realize that choices are necessary when making a book into a movie and that sometimes a film can be very successful despite not being accurate to the book but capture the mood, atmosphere, or character of the book. I appreciate this now and enjoy contemplating the screenwriter’s choices. 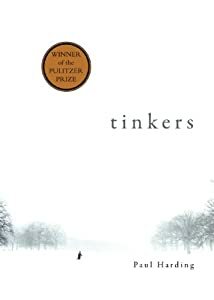 But all this does not answer my initial question, should I read Tinker, Tailor, Soldier, Spy or watch it? I am leaning towards reading it first, old habits die very hard and I am somewhat inflexible on this. But I also think that in this instance, it being a genre that I am not overly fond of, that seeing the movie first may pique my interest and enhance my reading experience. I can’t make up my mind! So I will ask you, reader, what should I do?? Read or watch?? 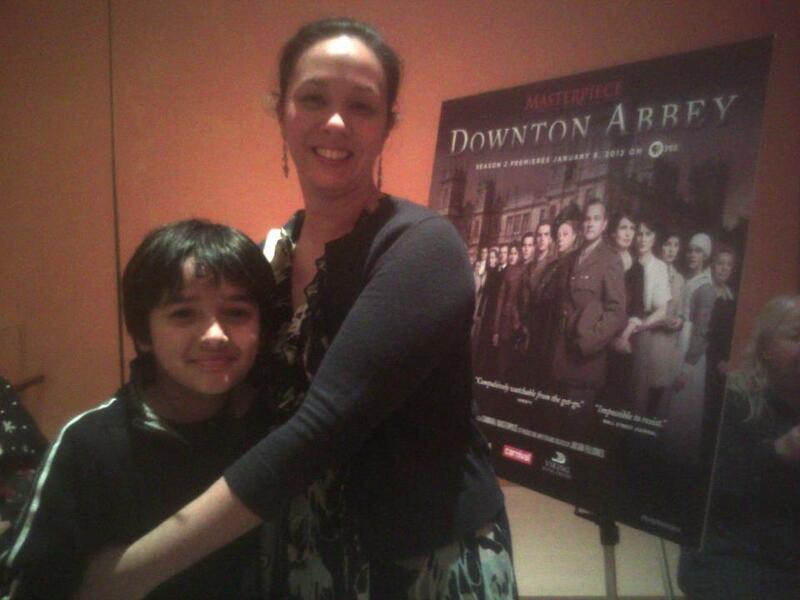 I was one of 25 lucky facebook winners to attend a very special PBS hosted, season 2 screening of Downton Abbey and cast Q&A. I was shocked that I had won (I never win anything) and was excited, very excited. On December 15th I attended with my 10 year old son, Edward. I was slightly worried that he wouldn’t have fun, that this would be one of those things that children get dragged to and are miserable the entire time. I have brought him with me to Jane Austen events and he’s always behaved admirably but lacked a certain enthusiasm, understandably so. We have watched several costume dramas together with middling success. He has seen a few episodes of season 1 of Downton Abbey with me but I never noticed any great enthusiasm for the show. He usually played with his Legos at the same time and I found it hard to discern if he paid any attention. Apparently he was! He was excited, to say the least to attend this once-in-a-lifetime event. His favorite character is the Dowager Countess of Grantham, deliciously played by Maggie Smith. He thinks her witty and sarcastic one-liners incredibly funny. He despises all the wrong sort (Thomas and Mrs. Bates) and loves all the right sort (Anna and Matthew Crawley). 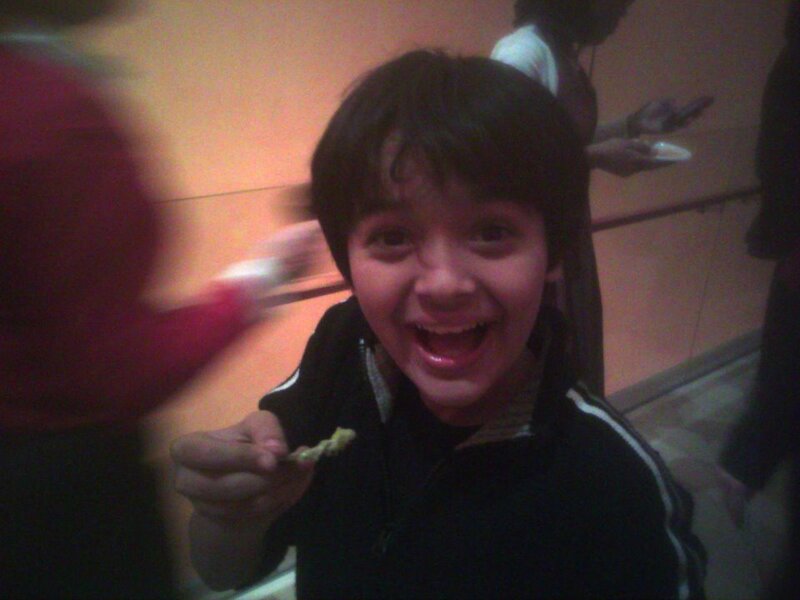 The event, itself, generated a lot of excitement and anticipation and my son enjoyed himself immensely. While partaking of the hors d’oeuvres and beverages he very comfortably discussed with two very nice young ladies his interest in science. Upon hearing this, they stated that they worked for GE and that perhaps if he worked very hard and did well in school he could work for GE as an R&D scientist one day. My son was being recruited at the age of 10! Once seated in the auditorium, the room darkened and the familiar theme music announced the start of the screening my son began applauding enthusiastically. 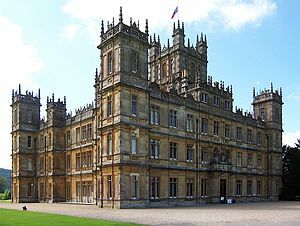 And as the view of Downton Abbey came up on the screen my son leaned into me and asked, “Mom, wouldn’t it be fun to live in that house?” I smiled and had to agree with him that it undoubtedly would be very fun. I believe he enjoyed the screening as much as I did. Afterwards, he remained engaged during the Q&A, clapped and chortled and shivered with excitement. All I could think was how watching costume dramas when I was his age on Masterpiece Theatre fueled my obsession with all things English and how funny that these kinds of things can be passed to younger generations just through exposure. Afterwards, we patiently waited in line to meet the stars of our favorite show, Hugh Bonneville, Elizabeth McGovern, Michelle Dockery, Dan Stevens, and Joanne Froggatt. They were gracious and generous with their time and were genuinely impressed that Edward was a fan. While waiting on the line, PBS cameras asked if they could interview him (he was the only kid present). He handled it like a champ! He answered their questions intelligently and with the unaffected enthusiasm of a 10 year old. I was amazed by his poise (I certainly never had his self-confidence when I was his age). Afterwards, he told me how nervous he was; I told him he handled it like a pro. All in all, this was an amazing experience on so many levels. It was nostalgic because PBS has always been a favorite television station of mine, I was overwhelmed with feelings of infectious joy and camaraderie, and the connection with my son over a mutual interest is incomparable. 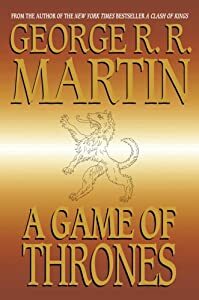 I recently finished reading the first book in the A Song of Fire and Ice series, A Game of Thrones by George R.R. Martin. I enjoyed it immensely and have just started the second book, A Clash of Kings. I felt it appropriate, in honor of George R.R. Martin’s epic to offer, for your perusal, my winter reading list. Winter is coming. Thanks Jennifer for sharing this. It’s Jane’s 236th birthday and yet her writing is still fresh and vibrant and has much to say to a more modern sensibility. 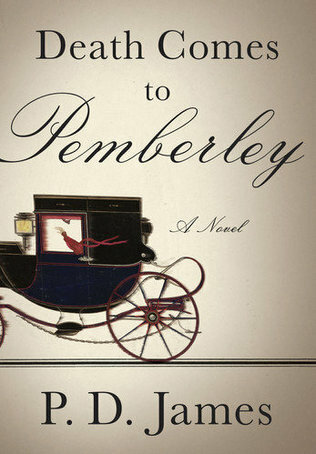 In honor I am going to re-read Persuasion. 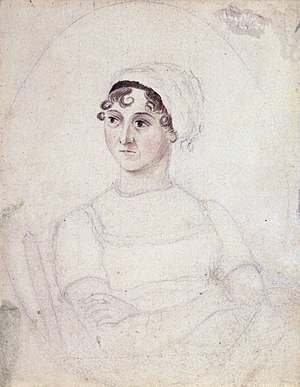 Happy Birthday Jane Austen!